It’s so easy to envy the Royal Family, isn’t it? We mean, they just sit on their kiesters all day, go out for photo ops every so often, and just rake in the public’s adoration, right? Well… not exactly. There’s a lot more to life in the Royal Family, including a darker side that doesn’t always get attention. If you value your privacy, for example, becoming a royal probably isn’t for you. Everything these people do or say becomes instantaneous frontpage news the world over. 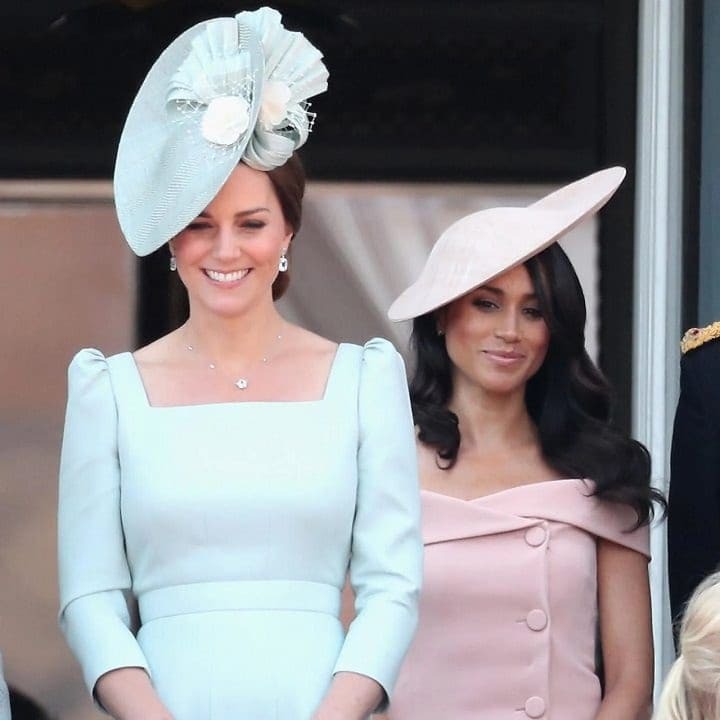 And that goes double for the commoners who became royals – Kate Middleton and Meghan Markle. They’re constantly under a microscope, with every action and word dissected, and so they can’t afford any mistakes. Unfortunately, mistakes seem to be the norm now. Talk of a feud is ever growing, and the sisters-in-law may not be as friendly as we thought. One recent report had Kate bawling at her daughter’s dress fitting for Meghan’s wedding, for instance. But who’s truly to blame in this royal rumble? Call us emotional, but we always tear up at weddings. It’s not uncommon, but the waterworks usually open during the ceremony – not before! If reports are to be believed, Duchess Kate’s case was very different. She reportedly burst into tears during a dress fitting for her daughter, Princess Charlotte, which took place several weeks before Prince Harry’s wedding. Kate was said to be an emotional wreck that day, and it wasn’t with delight at Harry’s upcoming nuptials. Quite the opposite, actually. Continuing a long, proud tradition started by his mother, Princess Diana, Harry’s wedding with American actress Meghan Markle was a dreamy affair. And it was years in the making. 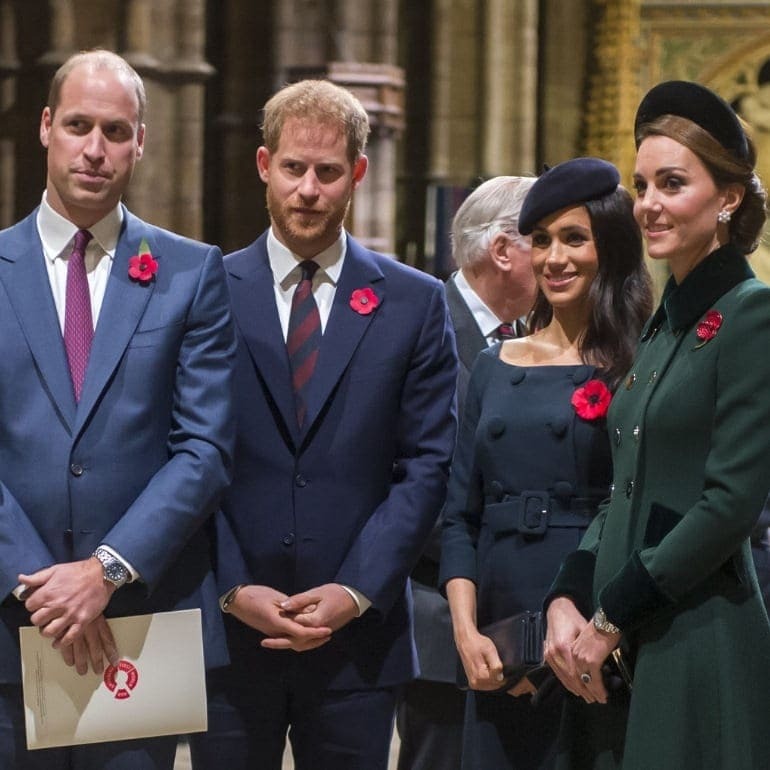 For ages, Harry was the Royal Family’s black sheep, always playing second fiddle to his much more stately older brother Prince William, who also happens to be second in line to the throne. So, when the younger brother popped the question to his American girlfriend over a nice roast chicken dinner, all eyes were finally on him. The proposal even overshadowed ongoing coverage of Kate’s third pregnancy. 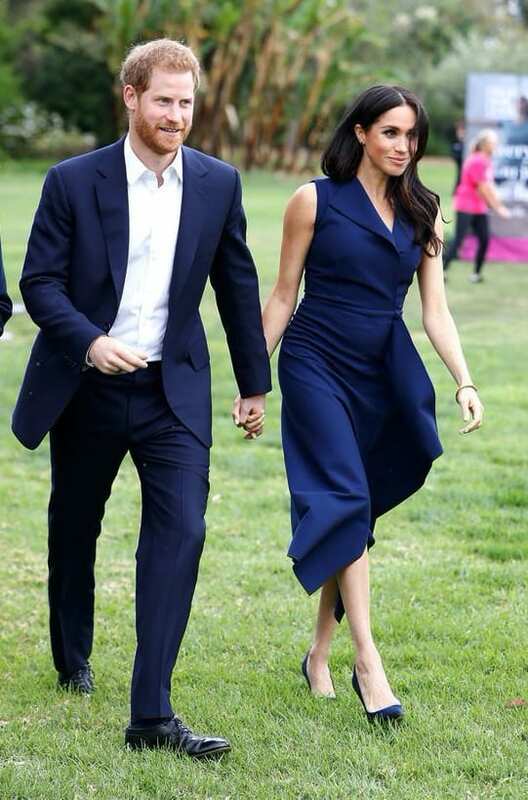 As Meghan and Harry’s big day inched closer and closer, excitement rose to a fever pitch, despite Harry’s unorthodox choice in a partner. William and Kate really are the most perfect couple. When Queen Elizabeth’s eldest grandchild proposed to his university girlfriend, there was little doubt in anyone’s mind that Kate possessed the grace and poise necessary to fulfill her future royal role, despite the fact she was a commoner. Now, years after their 2011 marriage, Kate has proven the public’s confidence in her was far from misguided, as she looks to have been born to be a duchess. And there’s Meghan. 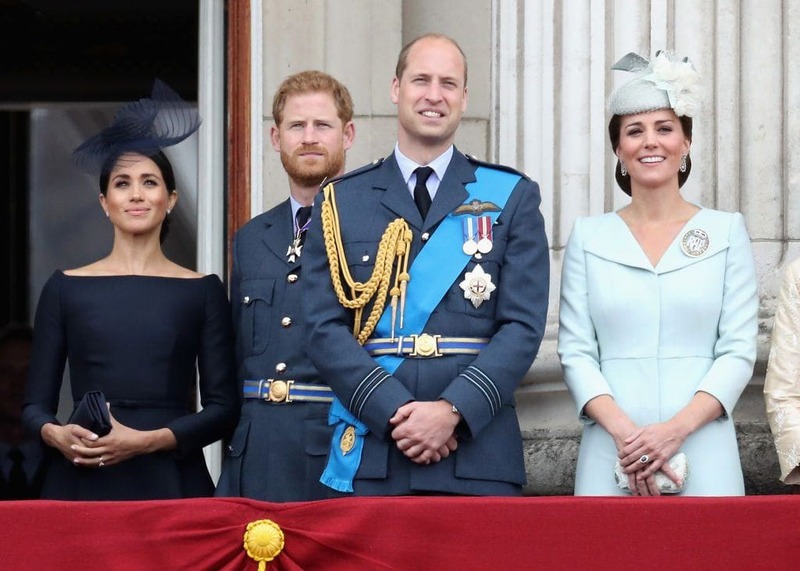 She’s an American, an actress, and a divorcée to boot, three things the notoriously stodgy British Royal Family aren’t exactly fans of. She faced an uphill battle from the start, with public opinion split down the middle as the wedding neared. Considering they’re as different as two women can be, it should come as no surprise the later arrival was constantly compared to the more seasoned pro – and being found lacking. 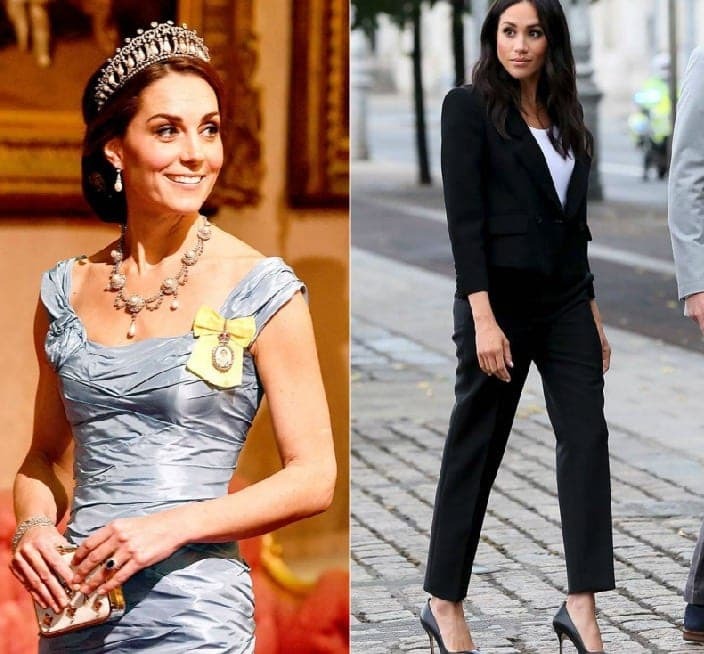 From their wardrobe choices to how they acted, it seems like neither Kate nor Meghan could do anything without drawing comparisons to the other. 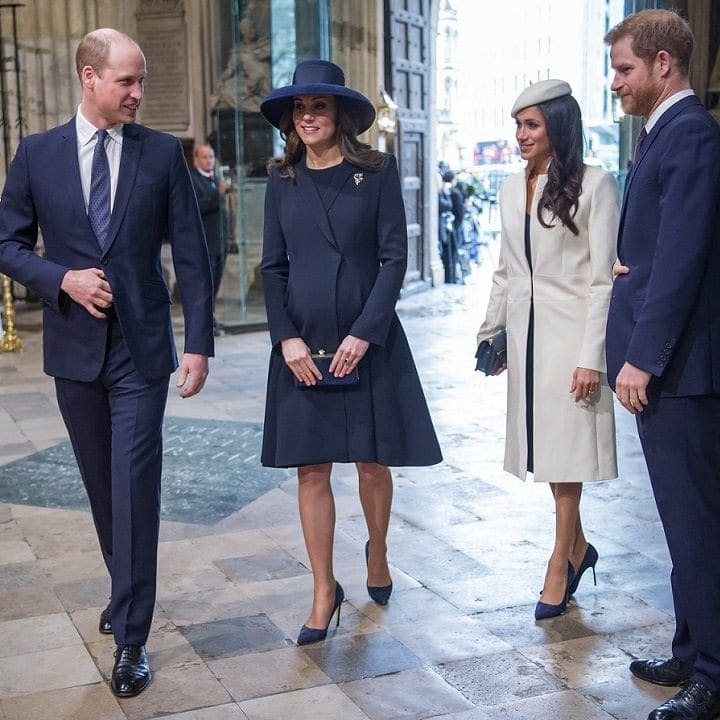 And those comparisons usually ended up making Meghan look bad, as every faux pas, no matter how small, was met with “Kate would’ve never done that!” True, Meghan did supply ample ammunition, by often wearing outfits considered a little too risqué for a royal, or showing too much PDA to her partner. But was Meghan really giving both love and the Royal Family a bad name? At the end of the day, no matter how many members of the British public tutted whenever Meghan came on the telly, only one woman’s opinion truly mattered; a 92-year-old woman who just so happens to be queen of the United Kingdom. And Queen Elizabeth seems to have taken quite a shine to the American, giving her the kind of special treatment Kate never got. For starters, Meghan was invited to Christmas dinner with the family before marrying one of its members, which used to be a huge no-no. Kate, for example, had to wait until William put a ring on it to be invited. This preferential treatment, and their positions as sisters-in-law, immediately sparked rumors of a bitter feud. 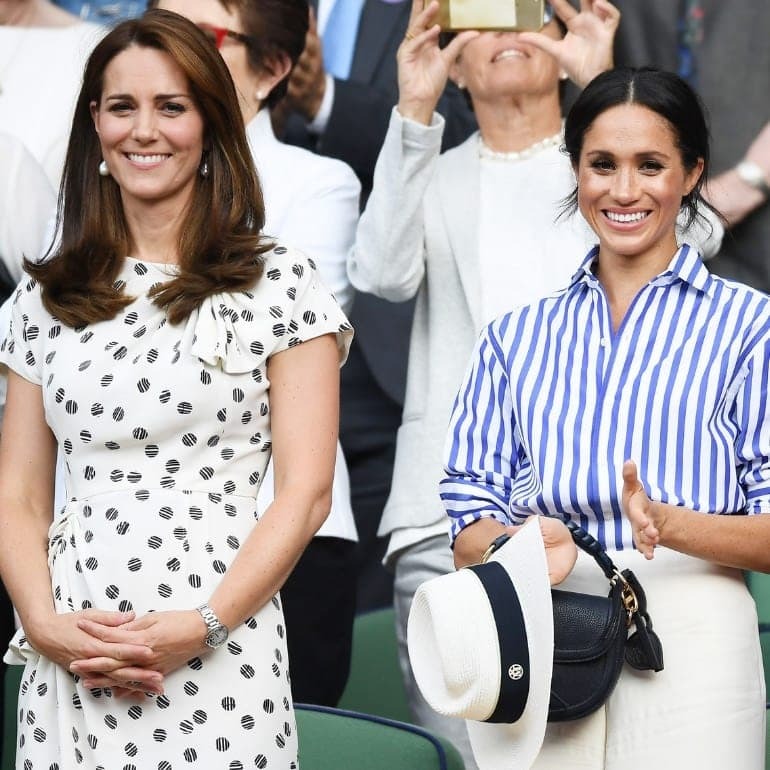 In the runup to Harry and Meghan’s wedding, rumors about the alleged rift between Meghan and her future sister-in-law reached a fever pitch. News reports from the notoriously nosy British media followed in rapid succession – one moment they were thick as thieves, the next they were at each other’s throats. It became impossible to distinguish what the heck was really going on at Kensington Palace. Plus, how would you even tell? Even if they spent days walking hand in hand, it was entirely possible it was all for show. True enough, Kate and Meghan had gotten very good at looking like they were close in public – whether truthfully or not. 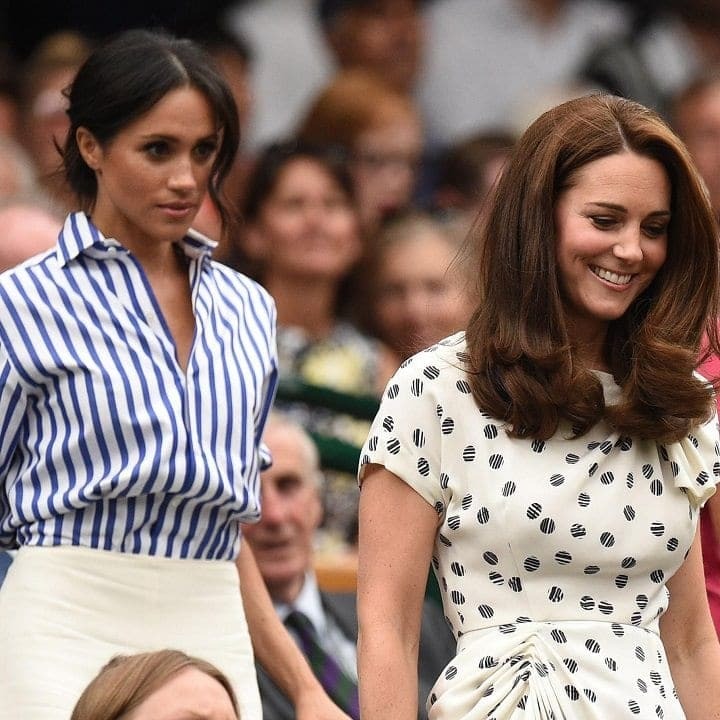 Shortly after the wedding, the new Duchess of Sussex accompanied her sister-in-law to the Wimbledon tennis tournament. They sat together, leaving the princes at home, and gave off a “we get along” vibe. Two more joint appearances certainly strengthened that impression, but as always, what’s happening on-stage isn’t nearly as interesting as what goes on behind the scenes. Despite what you might think, no member of the Royal Family – our fab four included – have ever tried to convince the public their lives were the picture of unity and harmony. Too different to get along? Sure, the odd argument here and there is only natural, but persistent reports dating back to the time Meghan first appeared on the royal radar have been saying it goes much deeper than that. It was no minor dispute, the papers said – we had a full-blown feud on our hands. 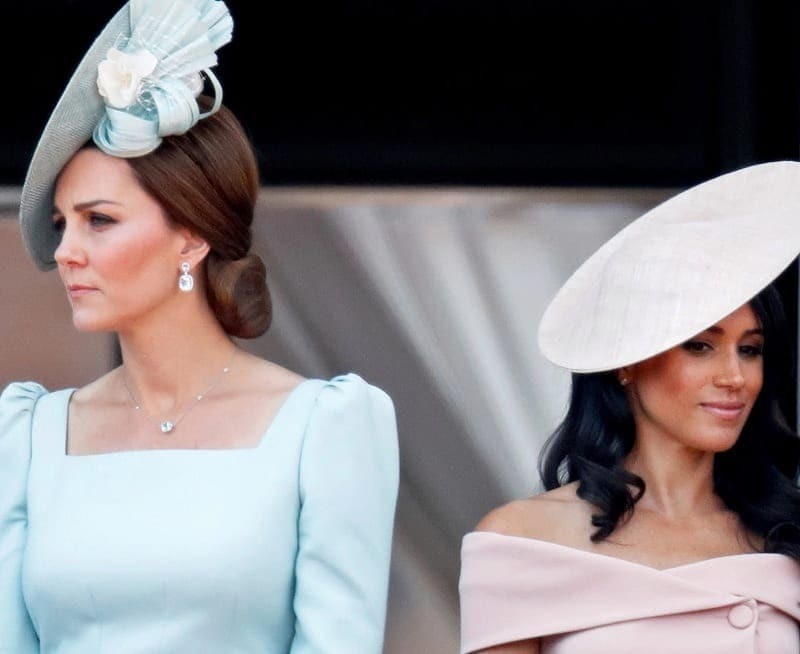 Kate and Meghan couldn’t stand one another, tabloids screamed, and weren’t just far apart – they might as well have been from different planets, and were so far apart that they could never see eye to eye. 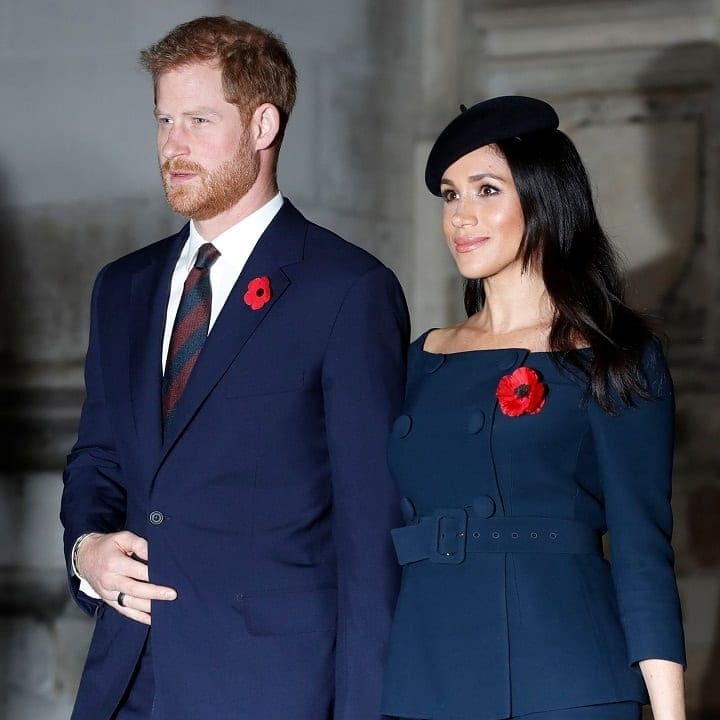 Pretty much since Meghan’s engagement to Harry, you could flip through websites or papers and find rumors of the family’s inner turmoil, but it all came to a head in late 2018, when Harry and Meghan announced they were moving out of the blue. While everyone thought the newlyweds would move into the adjacent apartment to William and Kate’s residence, a shock announcement declared they’d be leaving London for Frogmore House at Windsor Castle instead. The place had undergone a costly renovation, and was about to get new tenants. When Harry and Meghan decided to leave the confines of Kensington Palace, it was viewed as more than just a desire for a change of scenery. It could no longer be ignored, and their decision was a direct message saying they simply didn’t want to live next to William and Kate. As for the underlying subtext of that decision, well… If the two couples truly got along, why the sudden change of plans? Things, it soon became clear, would quickly take a turn for the dramatic. Since her introduction to the world’s most beloved dysfunctional family, Meghan seemed to fit right in, and was creating negative headlines in no time. She was losing personal assistants quicker than the average Brit consumed tea, with one PA leaving only six months after getting hired and another soon following. 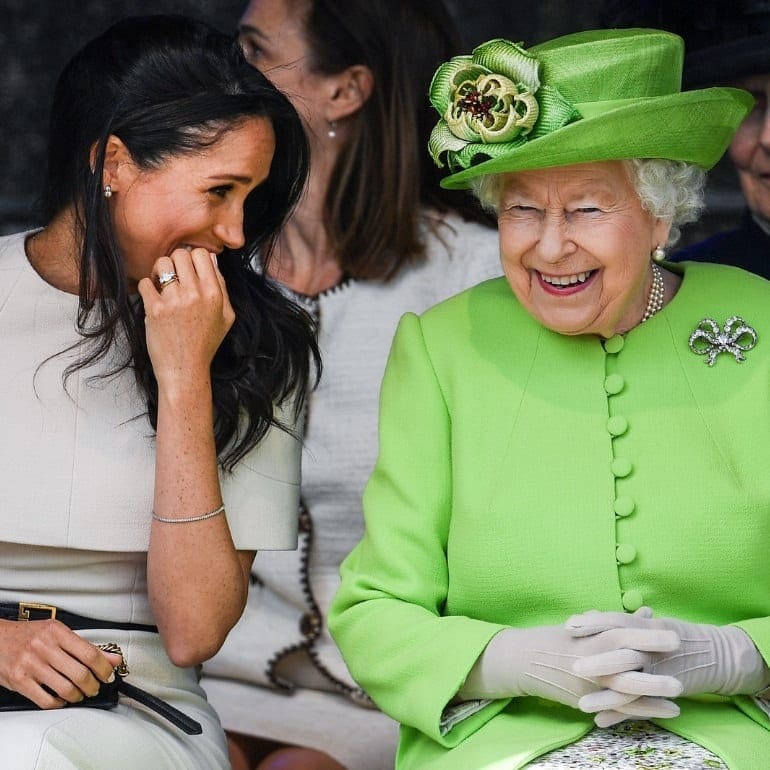 Then, palace leaks began whispering how difficult Meghan was to work with, christening her with the nickname “Duchess Difficult.” Even Kate got in on it, reportedly getting miffed Meghan spoke rudely to her staff. It wasn’t their first clash, however. Rewinding to before Meghan officially joined the family, we have the one incident that reputedly broke Kate irreparably. As hushed stories recount, it was a dress fitting for the young Princess Charlotte before the wedding that left the duchess in tears. Details of what really went down are hard to come by, but every version agrees – Meghan left Kate crying. 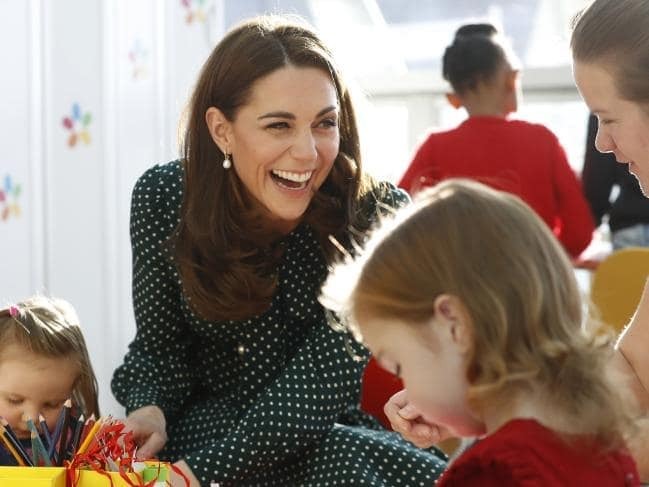 Kate Middleton is the quintessential Brit, as dignified as she is reserved. If a woman like her was truly reduced to tears, something extreme must have happened. Or did it? In anyone’s life, the time leading up to a couple’s wedding is an unbelievably stressful times, even if your wedding won’t be watched by billions of people – literally, an estimated 1.9 billion tuned in. So Meghan having something of a short fuse in that situation is totally understandable. Adding to the arguments in her defense, Kate was clearly already emotional, as she’d just given birth to her third child, Prince Louis. With her hormones likely raging, she may have been a little more off-kilter than usual. 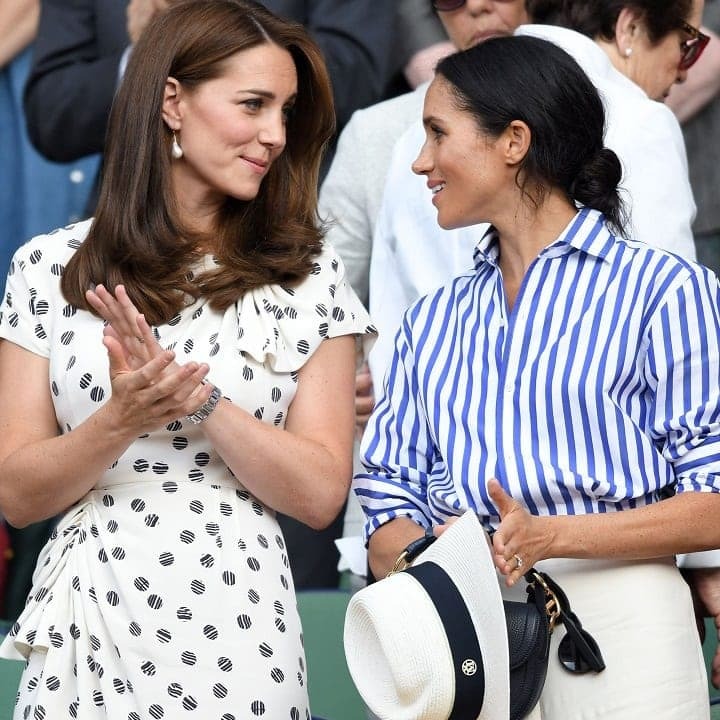 To try and wrestle some sense out of the mess that is Kate and Meghan’s relationship, body language experts have pored over their every interaction, trying to suss out its true meaning. Perhaps not surprisingly, there’s no single unified opinion, with some saying everything’s hunky-dory while others ringing the alarm bells. 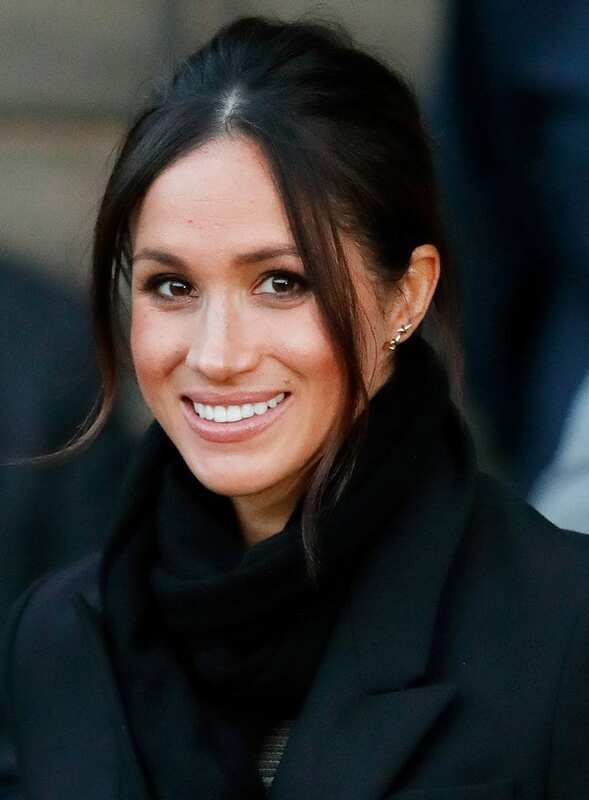 One expert, Judi James, examined the physical evidence collected from joint appearances, and found Meghan imitating her sister-in-law, seemingly showing deference to the more senior royal. Still, even then, something about Meghan’s body language screamed rebellion. Meghan isn’t the only one blamed for acting like a total diva. Ever since their marriage, her husband has been drawing unflattering criticism as well. 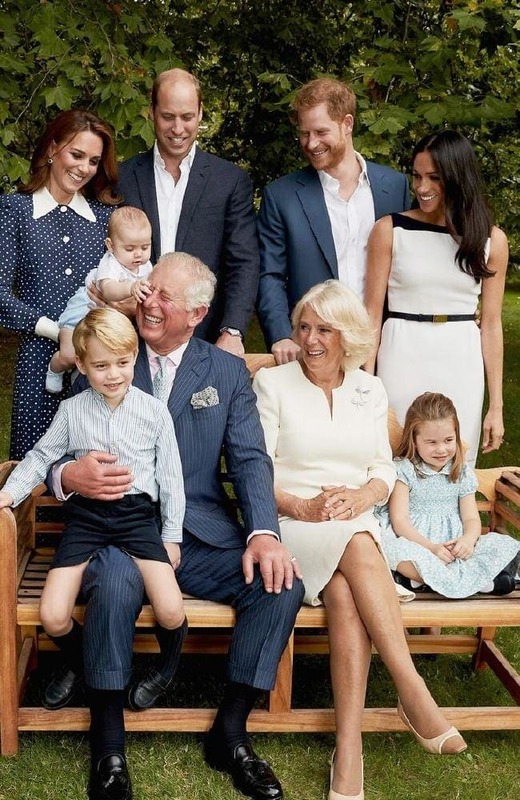 Not just that, but the relationship between Harry and William – who were as close as two brothers can be – seems to have cooled off to say the least. 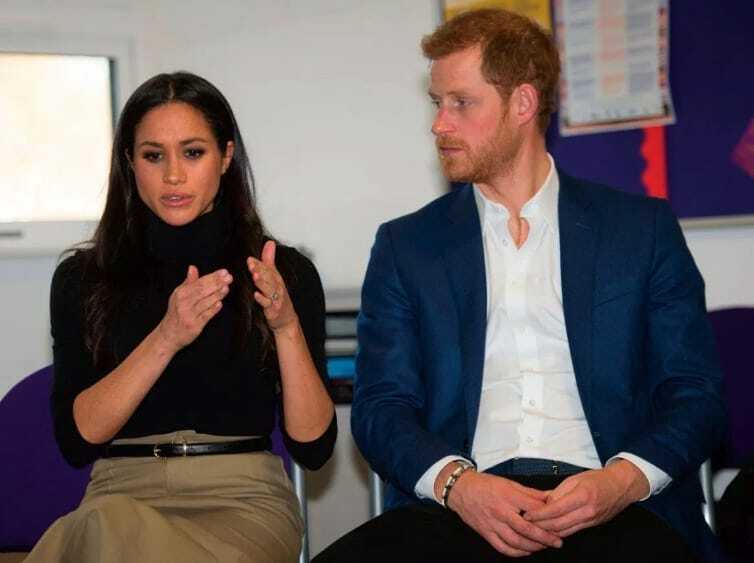 Harry, reports have said, is upset that William and his wife have not shown Meghan the delicate attention he believes she deserves. Harry was allegedly getting more and more difficult himself. 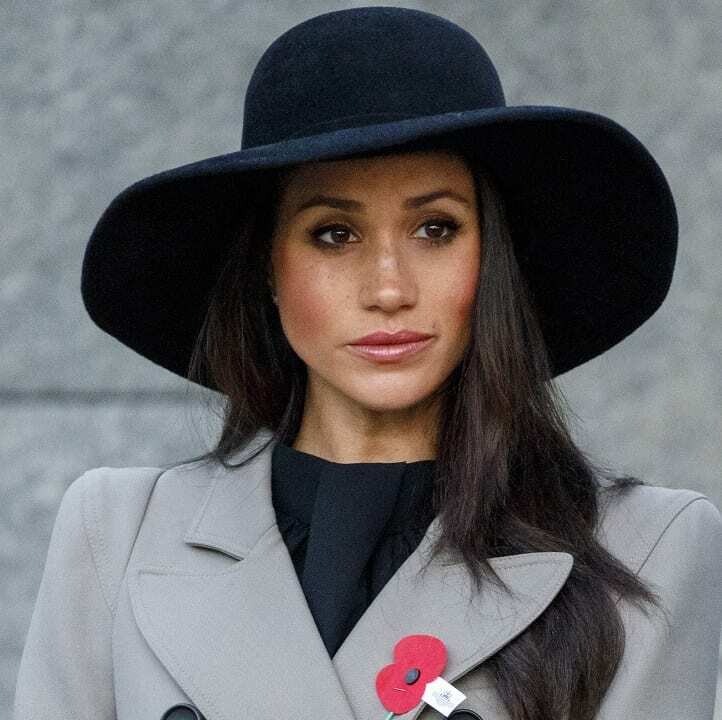 Even though she hasn’t even been part of the Royal Family for a full year yet, Meghan has already found herself standing in the middle of controversy. It seems like wherever she goes, drama follows, which is a perception she needs to change if she wants the public on her side. Considering opinion of her was divided to start with, getting into a brawl with the hugely popular Kate won’t do her any favors. It won’t be easy, but she has the rest of her life to think about. 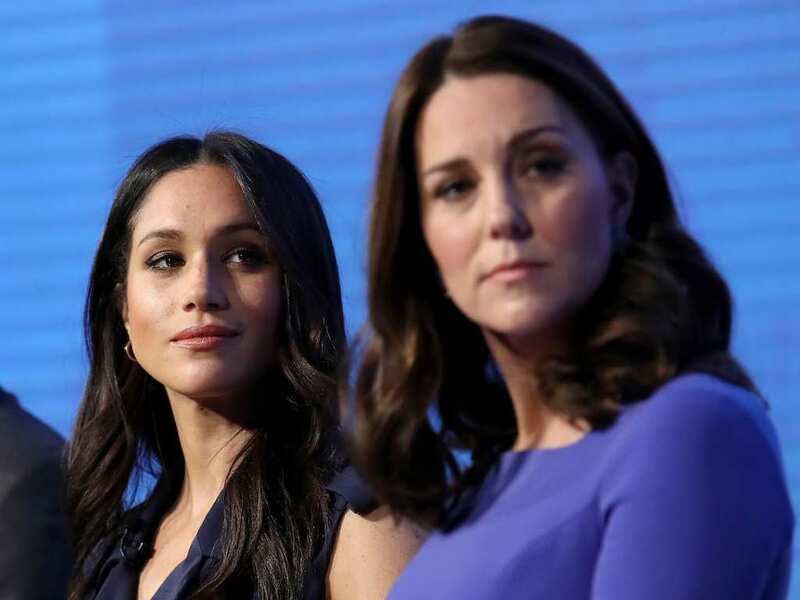 If any of this family drama has indeed taken place, it’s probably the fault of two women – Kate and Meghan. However, someone else has been hit with collateral damage, possibly due to no fault of his own. That someone is Prince Harry himself, who’s perceived to be constantly trying to fix whatever Meghan has broken. And this whole thing is making him look very, very bad, as people have wondered somewhat old-fashionedly why he doesn’t put his wife in her place and lay down the law. Trouble brewing between the newlyweds themselves? 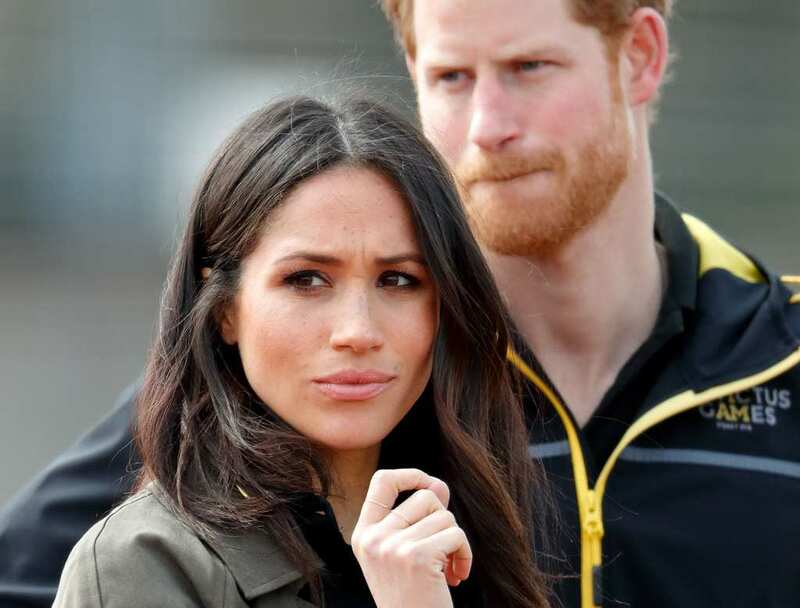 Things may be starting to get desperate between Prince Harry and Meghan herself, with a possible rift forming as a result of Meghan’s recent behavior. 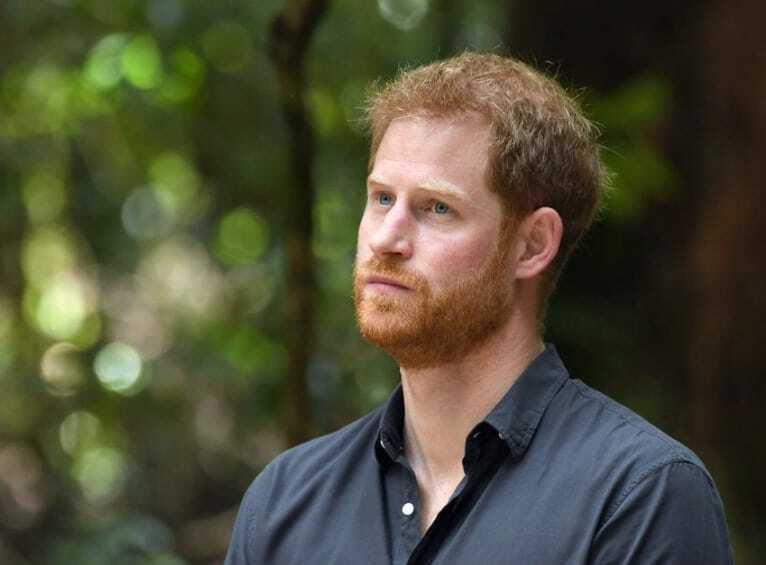 Harry has been under a lot of stress, with a baby on the way and his wife constantly under a media firestorm, so it won’t exactly be shocking to learn he has had it. If he has really been asked – repeatedly – to control his wife, as has been claimed, the prince might be angry with his wife, wishing she’d just fit in already. Just as things were winding down and there haven’t been news of the two duchess clawing each other’s eyes out, we got this. It appears the Queen has picked favorites – and Kate wasn’t it. 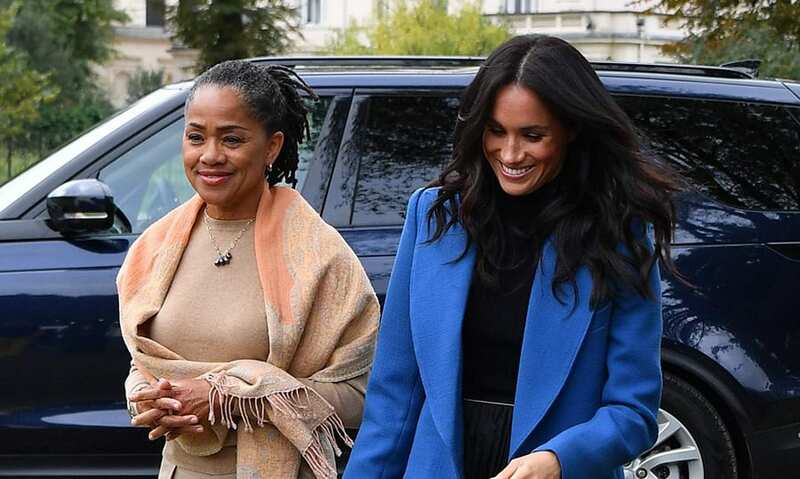 We’ve mentioned before Meghan was invited to spend Christmas with the family before the marriage last year, and this year, it was Meghan’s mom Doria who got the invite as well. No prize for guessing whose parents never got the honor – and invitation. And that’s likely not going to improve Kate’s disposition around the dinner table. The fact Queen Elizabeth has been showing Meghan some courtesies, of course, doesn’t mean she never laid down the law when necessary. 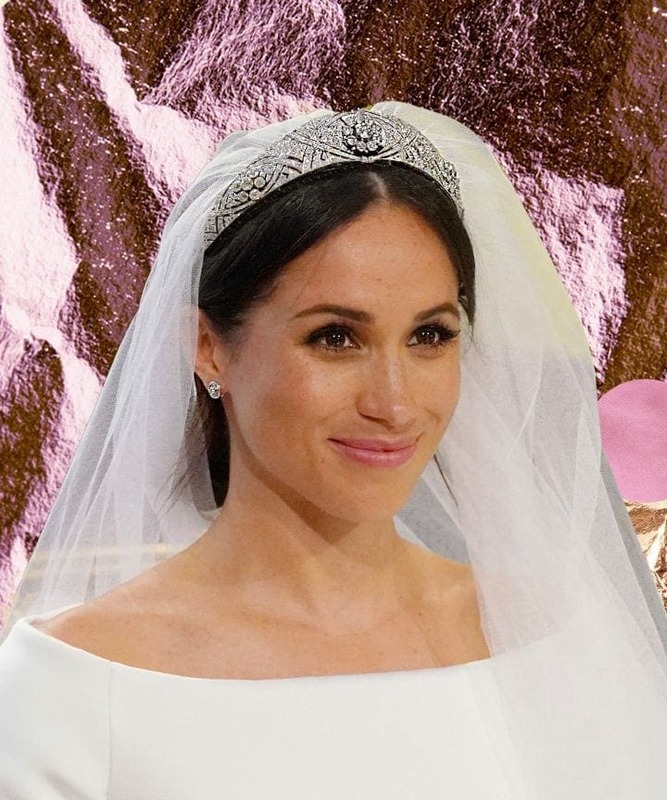 Case in point, it’s been said Meghan had her heart set on wearing a specific tiara to her wedding, but the Queen made it clear to Harry in no uncertain terms that she’d better rethink her decision. The pendulum swings both ways, though, and Kate felt it too when she wanted to pull back from her royal duties to focus on motherhood. “Nuh uh,” the monarch reportedly said. At first glance, it appears like a sweet gesture from the prince, who wanted his bride to have the once-in-a-lifetime wedding of her dreams. Thinking a bit more about it, though, it may have been a license to become a bridezilla. Now, weddings are an incredibly stressful time, even for us “normal” people. In the months and weeks ahead, pressure slowly mounts as the big day approaches, and not everyone can handle that stress very well. Jitters may account for the alleged altercation between Kate and Meghan during the dress fitting. It could, or it might be the umpteenth chapter in their ongoing feud! Either way, it marked a low point in the two women’s relationship, and seemed to have genuinely hurt Kate. 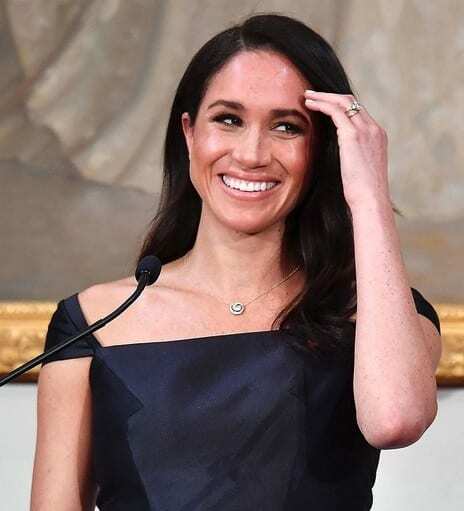 Shedding some more light on this sore spot, it was reported that Meghan told the people around her that only “the very best” would do for her wedding day. It seemed she wasn’t going to let anything – or anyone – stand in her way of achieving that. 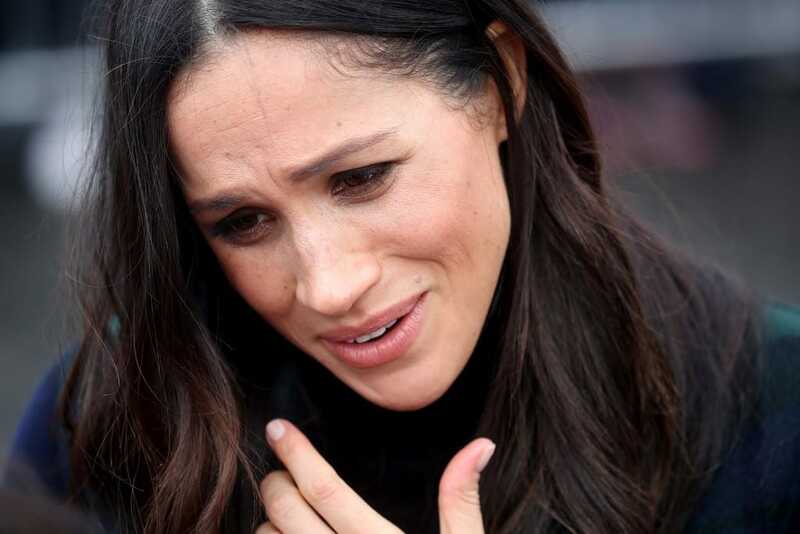 We’re going off hearsay and whispered rumors regarding whatever happened between Meghan and Kate, but it definitely seems like the newcomer may have went just a little too far, causing the more seasoned duchess to break down like that. When members of the royal staff or other Royal Family insiders are asked to comment about the alleged throwdown, or just the duchesses’ relationship in general, they do one of two things. The first – and probably more sensible thing to do – is to decline comment altogether, neither confirming or denying them. The second thing you see done, however, is to speak about how different the two women are. These “differences” may unintentionally reveal more than the speakers intended about what’s going on at Buckingham Palace. We’ve mentioned Harry’s public comment that sort of addressed the matter, when he said that even in the best of families disagreement can, and do, break out from time to time. It really is only normal. No one gets along with every single member of their family, near or far, so why should the royals? 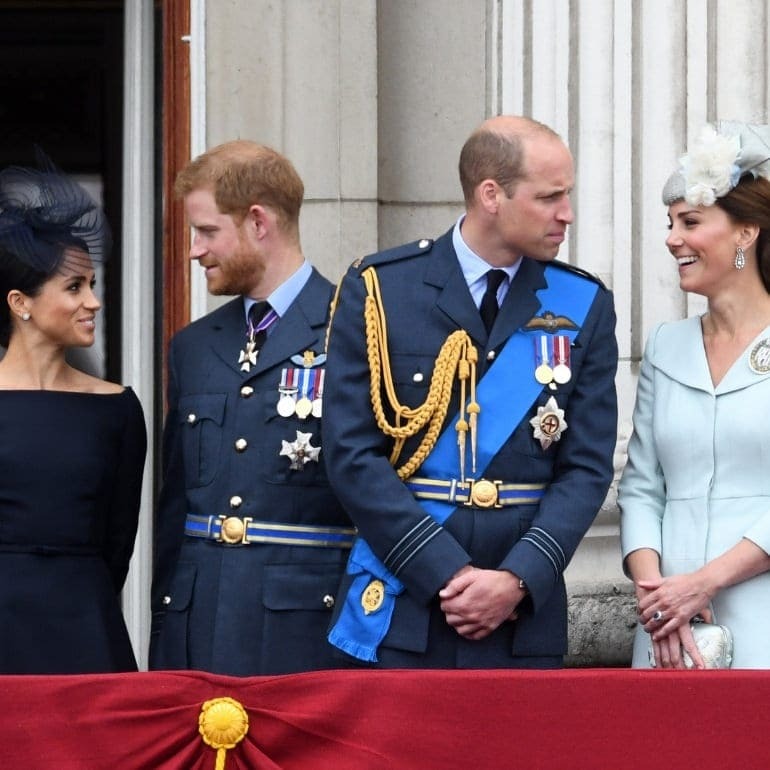 Even siblings bicker, and sometimes even get into rivalries, so it doesn’t defy belief to assume that some tension does exist between Harry and Meghan and Kate and William. They’re just under a microscope. 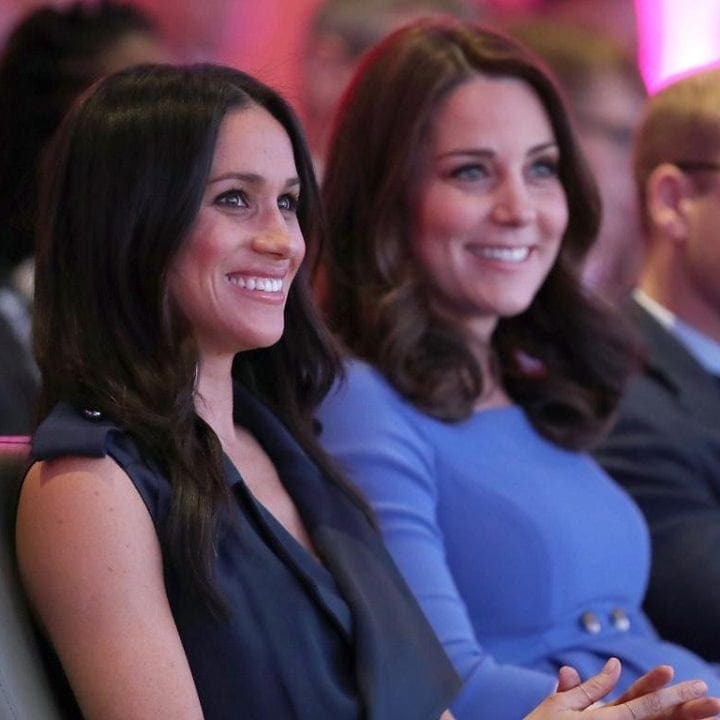 While the duchesses’ relationship was fraught with drama, it’s now been reported they’re trying to work through their problems and find a way to get along. Incidents like the dress fitting debacle aside, they’re still royals, and still sisters-in-law, and that’s not going to change. This reconciliation was once again called into question when Harry and Meghan announced they were moving out, but it’s been said Prince Charles has been working to ease tensions. Since they’ll spend Christmas together, we can only hope the holiday season will bring them closer. One thing that may have been lost in all of this is that Meghan’s name is being dragged through the mud, but she’s unable to defend herself because royal protocol forbids her from doing so. Before joining the Royal Family, she was used to speaking her mind and letting her voice be heard through social media. Now, however, she may be feeling like her voice was stolen from her, as she’s forced to stand idly by while she’s being portrayed as a monster. Imagine sitting back and letting that happen. 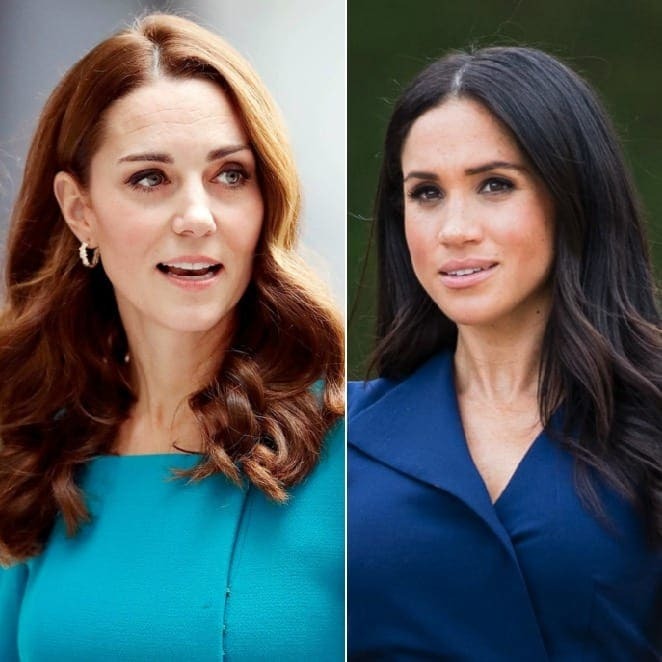 Talk of the feud between Kate and Meghan has definitely taken up most of the coverage regarding the two, but it’s just a small fraction of their very busy lives. Both still hold many responsibilities and have countless duties, and neither can just curl up into a ball and disappear from the world. Kate has shown that attitude herself, and is often snapped sporting a great big smile. She recently became a patron of a children’s hospital, and has taken part in various Christmas-related activities with kids. While she’s putting on her best face in public, it would surprise no one to learn how frustrated Kate is with the whole situation behind the scenes. 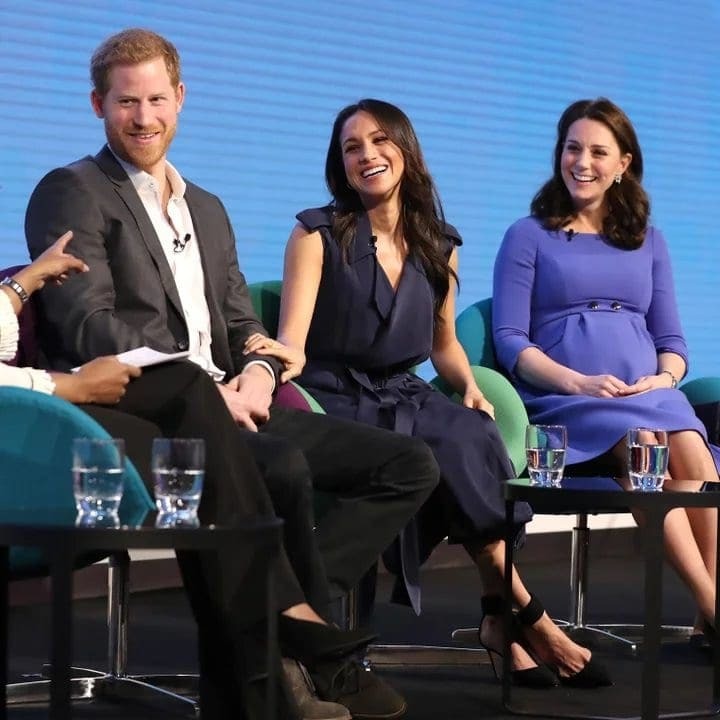 Just think about it from her perspective – Meghan seems to constantly be getting special treatment from everyone, including the Queen, who broke tradition to invite Meghan over before she was married. In general, it seems like there are little consequences for her actions. She wears revealing clothing (for a royal), signs autographs, and hugs fans – all against protocol – and nothing ever happens. One thing that can be said in Meghan’s defense is that she may as well have landed in the Royal Family from Mars. She’s not only new to the royal lifestyle, she’s new even to Britain and its customs. Sure, Kate wasn’t born a royal any more than she was, but she’s an upper-class Brit, and as such much more familiar with the culture. Meghan, on the other hand, is a Hollywood actress who’s had to do a complete 180. Taking time to get her sea legs is understandable. Meghan isn’t only new to the whole royal thing, but has only known her husband for a couple of years before they got hitched. She’s still learning the ropes and adjusting to this new and bizarre way of life, not to mention that everyone else in the family is doing the same with her. Another problem in this context, experts say, was that Meghan’s introduction into the family was rushed, hence the bit of backlash she’s faced. These kinks will hopefully be worked out in time. Who’s the real monster here? Looking at this entire thing from a bird’s eye view may help us get a sense of who the true villain is in this story. It’s not Kate or William. It’s not Harry or even Meghan. It may well just be the media itself. Since members of the Royal Family can’t rebut any allegations or hearsay, so-called journalists have free rein to print, post or publish whatever they want want about them with impunity, regardless of whether it’s actually true or not. Another case of fake news? In a world so seemingly inundated with fake news, it wouldn’t be out of the realm of reason to wonder if there may not have ever been any feud between the two women or their significant others. Could it not have been just utter fabrication on the part of British media with an overactive imagination and a desire to sell papers? 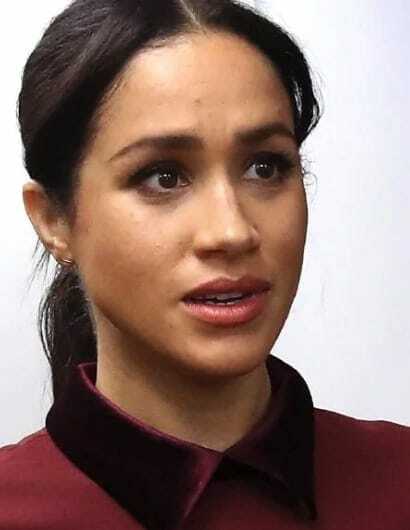 If Kate ever did cry during the dress fitting, could it not be because of post-pregnancy hormones, or some other reason completely unrelated to Meghan? We may never know. A very common American saying says that any press is good press, so long as they spell your name right. Being talked about, it reasons, is better than not being talked about. While that may well hold true in Hollywood, it probably doesn’t apply to the Royal Family in Britain. Ironically, the reverse may also be possible. It could be a media stunt by the attention-hungry royals trying to stay relevant in this new digital age. If that’s the case, then kudos, it worked! One thing’s for certain – there’s nothing the media likes more than playing women off against one another and placing them in feuds, whether they want to or not! This isn’t new by any stretch, and will likely stay with us in the future. From Kim Kardashian and Paris Hilton, to Kate Middleton and Meghan Markle, female celebrity feuds have been the press’ bread and butter for years. Are they really feuding? Did Kate really cry? We may never know, but the media won’t stop bombarding us with it regardless. 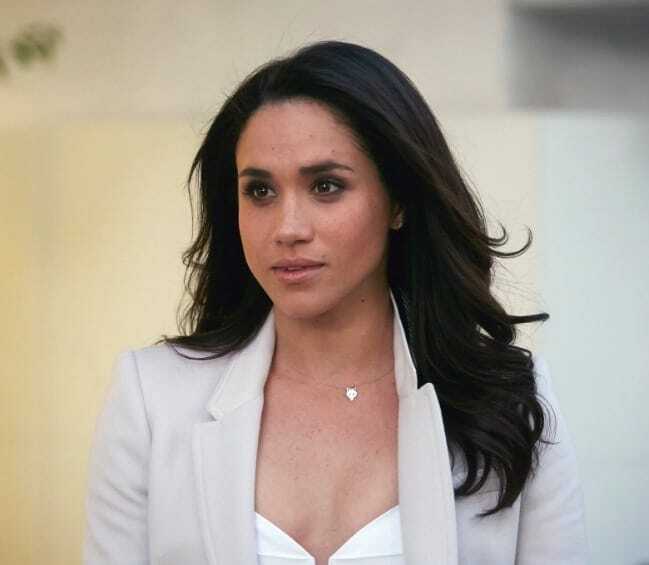 Feud or no, there’s one thing we can state without fear of contradiction – Meghan Markle is here to stay. Whether she’s “Duchess Difficult” or a perfectly lovely woman who’s gotten a bad rap in the press, she’s not going anywhere anytime soon. 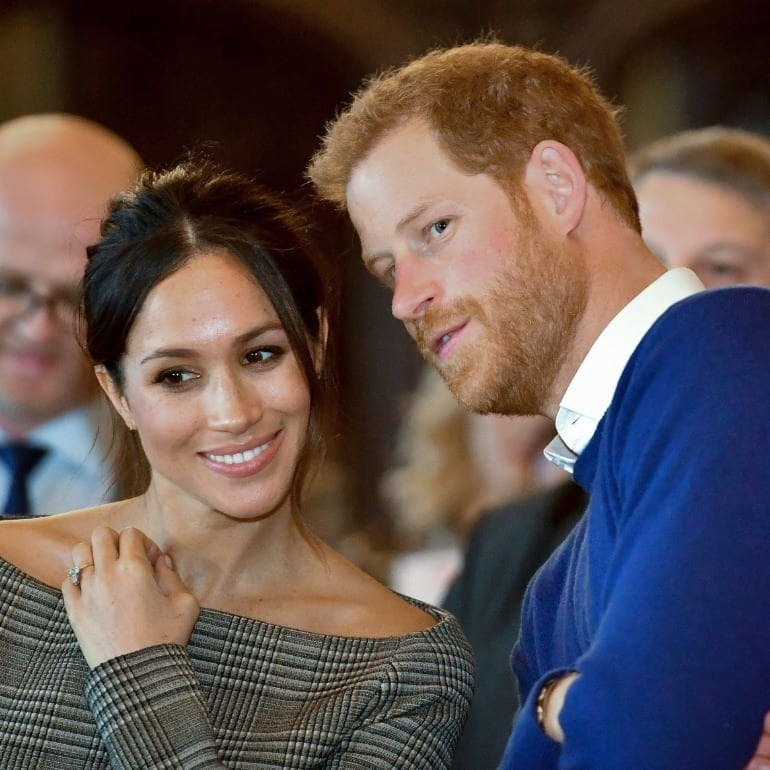 She and Prince Harry appear to be very much in love, and in their new love some things may have been said – or done – that shouldn’t have. Everyone makes mistakes, and we truly believe that she deserves a chance to prove herself before sentence – and judgement – are passed.